What Is Nick Jonas Reading On Priyanka Chopra's Phone? Find Out Here! 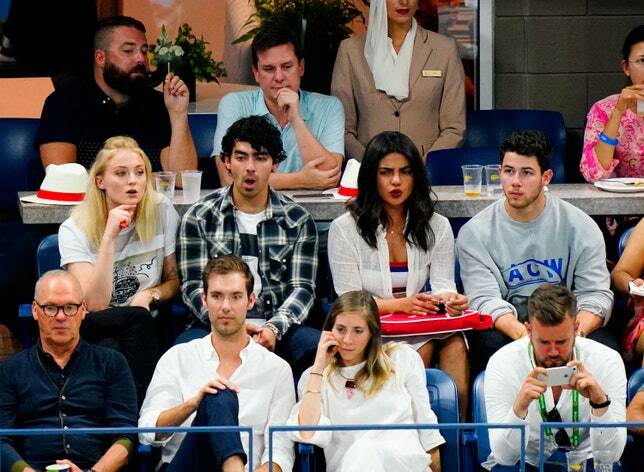 What Is Nick Jonas Reading On Priyanka Chopra’s Phone? Find Out Here! Priyanka Chopra and Nick Jonas are one celebrity couple, constantly under the radar of the media. The two recently got engaged in a private ceremony in Delhi. Their engagement and roka ceremony became a matter of international headlines. The two were seen together for the first time at Met Gala and later started dating. Nobody could have ever imagined that their friendship will take a beautiful turn and things would become official. The two are now happy in each other’s company and often spotted together. 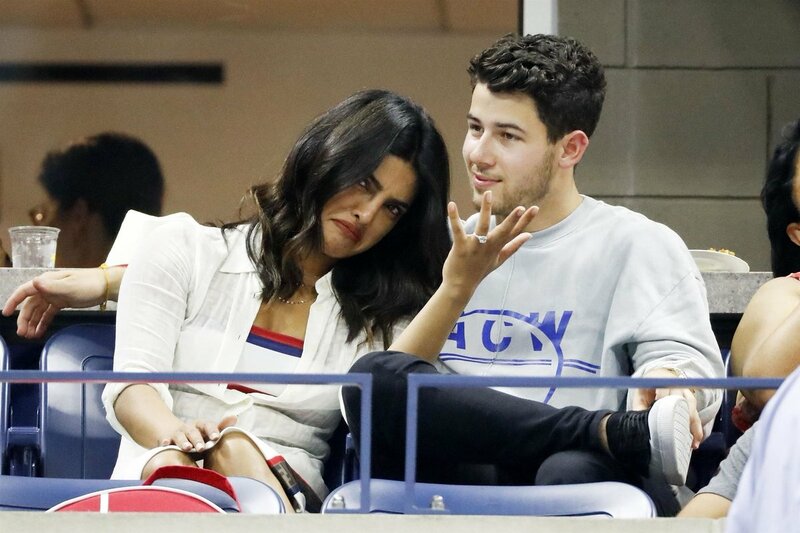 Both Priyanka and Nick were recently spotted in the US. The couple lately attended the US Open together. They were also accompanied by Joe Jonas (Nick’s brother) and his girlfriend Sophie Turner. Priyanka’s mother Madhu Chopra was also spotted. Both the couples enjoyed the game and even clicked some pictures together. Here is one more picture of the four! Out of all the pictures clicked on the day, one picture went viral among netizens. But our question is – What exactly is Priyanka Chopra showing him on her phone? We might update you with an answer soon. All you need to do is keep an eye on our stories! Happy reading! Kangana Ranaut’s Manikarnika Got Leaked Online By Tamilrockers. Will Free Download Affect Its Earnings?